Top Rochester Practice Welcomes a New Orthodontist: Jeremy P. Bateman! Why Choose Buhite & Buhite, DDS? You wouldn't be you without your smile, so when you seek a little support for your grin, you want to know you're in good hands. For over four decades, the trusted team of general and cosmetic dentistry professionals at Buhite & Buhite, DDS has been serving Rochester, NY, and the surrounding area with high-quality dental care. Knowing that a bright, straight smile can contribute to self-confidence in a substantial way, they're committed to providing outstanding restorative dentistry services. Orthodontist Jeremy P. Bateman, DMD, MS, is a vital part of the team, and he works hard to build your confident grin, boasting knowledge and experience you can trust with something as valuable as your smile. Dr. Bateman began his higher education at The State University of New York at Buffalo, where he earned both his BA in Biological Sciences and MS in Oral Sciences. He graduated from Temple University of Dentistry with his Doctor of Dental Medicine in May 2007. He earned his Certificate in Orthodontics from Wilford Hall Medical Center in June 2011. After completing his training, Dr. Bateman served for three years as Staff Orthodontist and Orthodontic Mentor in the Womack Army Medical Center's Oral and Maxillofacial Surgery Residency Program. In October 2014, he took a position at the General Practice Residency Program at Rochester General Hospital, where he still serves as Provisional Attending. He stays connected to the latest developments in dental and orthodontic care through his various professional and scientific affiliations, including the American Association of Orthodontists, American Dental Association, Northeastern Society of Orthodontists, 7th District Dental Society, and Monroe County Dental Society. 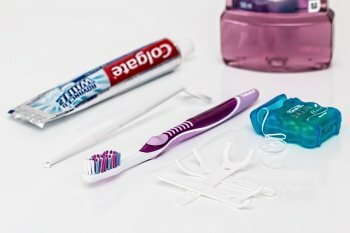 With a reputation built on years of genuine care for the comfort and general health of their patients, Buhite & Buhite, DDS offers dental care you can rely on. Orthodontist Jeremy P. Bateman continues that tradition of exceptional dental care by developing his Sterling Orthodontics system and implementing it at 564 East Ridge Rd. in Irondequoit. If you're seeking a top-notch orthodontist, call (585) 342-1323 to schedule your appointment today. 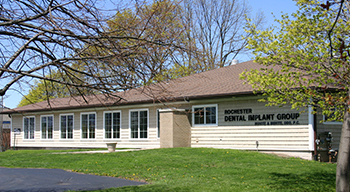 To learn more about this trusted Rochester cosmetic dentistry practice, you can also visit their website. ©2019 Buhite & Buhite, DDS. All Rights Reserved.